Based on the SD32, the SD32W rock bulldozer is specially designed for operation in tough working conditions with hard rock and frozen earth. 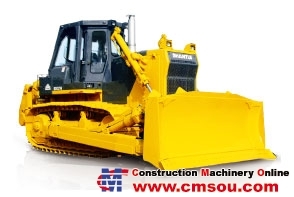 The SD32W is equipped with a hydraulic drive system with hydraulic control technology, and an advanced structure, providing reliable performance and convenient and flexible operation. It also has a rock-type track and blade, allowing the SD32W to adapt to the heavy condition necessary when working with hard rock and frozen earth.